Home » Programs » Internships » Intern Blogs » The Sixth Week: Wait, THE SIXTH WEEK?!? The Sixth Week: Wait, THE SIXTH WEEK?!? This week was definitely a change of pace. But I welcomed it. I felt before this week I was beginning to get into a routine of waking up, going into work, grinding it out with my video project, going back to the dorms, gym, and then rewatching Luke Cage Season 1. It’s not that I have a problem with routines, in fact it’s the opposite. I can easily fall into a groove in any place I’m in, but I can also easily get stuck there. Up until now, I have kept my promise to myself in making this summer one of adventure. Learning and discovering something new everyday. Maybe it was partially whatever virus I contracted last week slowing me down or maybe the super hot weather. 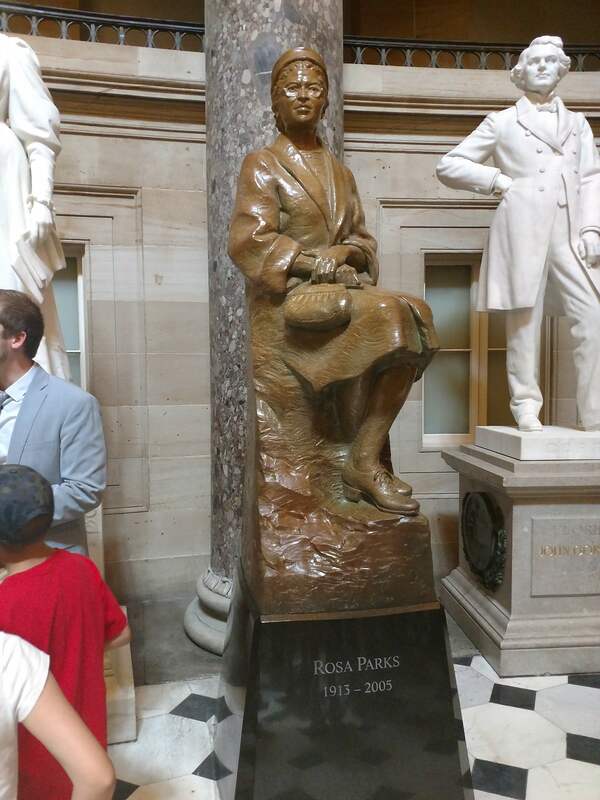 In any case, the tours we went on this week gave me the inspiration I needed to continue making the most of my remaining four weeks in the Capitol. Tuesday we participated in a very informative career building workshop with Danielle Weiland. She gave us some ideas to consider about life after undergrad and helped us understand the difference between a CV and a resume. We went more in depth than any workshop I’ve had prior, breaking down every section of a sample resume. She also gave us some job descriptions and had us construct a resume based on that. The jobs she gave us were real jobs she’d found online. I was relieved to find that, after graduating next May, I will qualify for more than one of those jobs. Of course, I knew this from working on my projects with APS Careers but for me personally to see the descriptions and say “Hey, I can do that now!”; it made me a little less worried about my future. Yesterday (Thursday), we went on a tour of “the hill”, as people who work there fondly call it. We got an early start and visited Sarah’s office first; the minority office for the Committee on Science, Space and Technology. 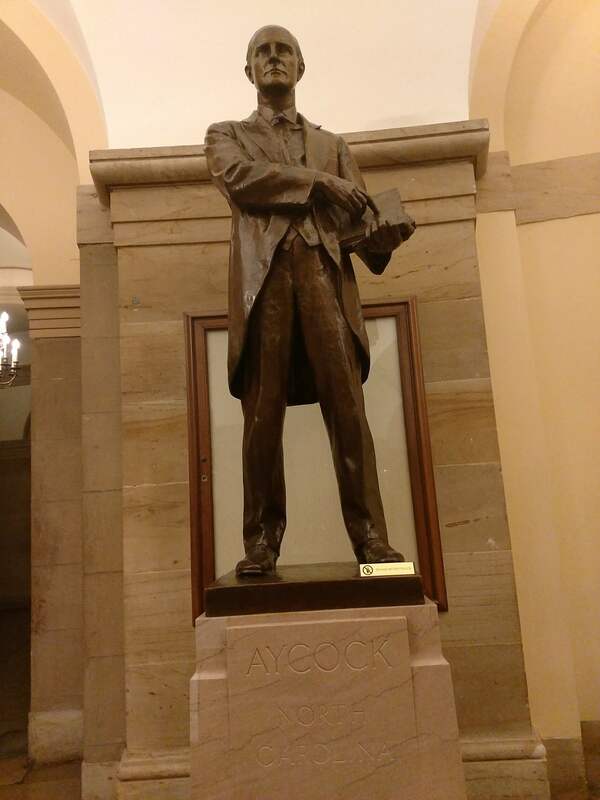 Then we went to a surprisingly entertaining hearing about AI and big data issues. The questions were perhaps the most interesting part of the whole thing. There was a range from people who knew enough to ask very pointed and intelligent inquiries to people who knew about the same as the average American. Although I was trying my best not to laugh at some of questions that didn’t make any sense to me, I felt the range of those asked was representative of the people of our country. Which I think was the point anyway. 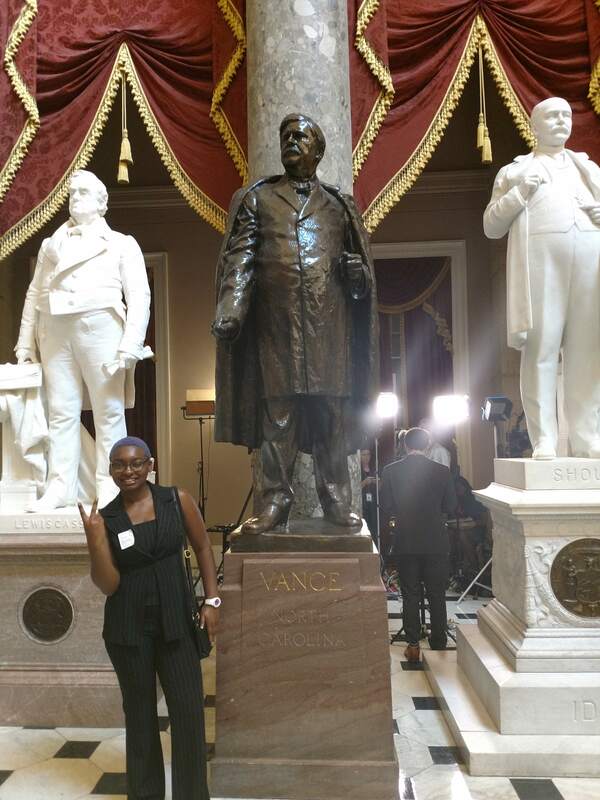 My career goals remain the same with teaching and research but I was definitely moved by this short experience with science policy… I may keep it in the back of my mind. After the hearing we went to Sam’s building. 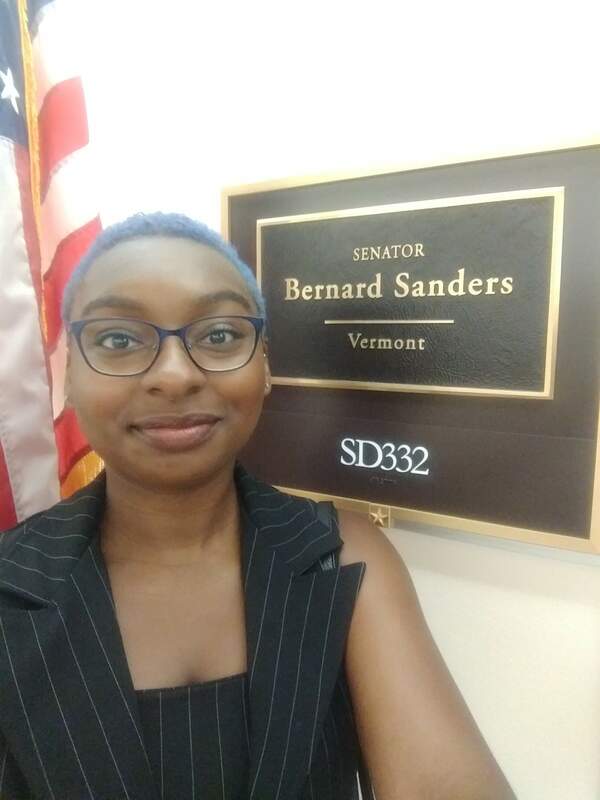 We couldn’t go directly into his office because there was a senator in there but we did get to see Bernie Sanders’ office which was awesome! He’s become almost like a celebrity to me and many of my peers. 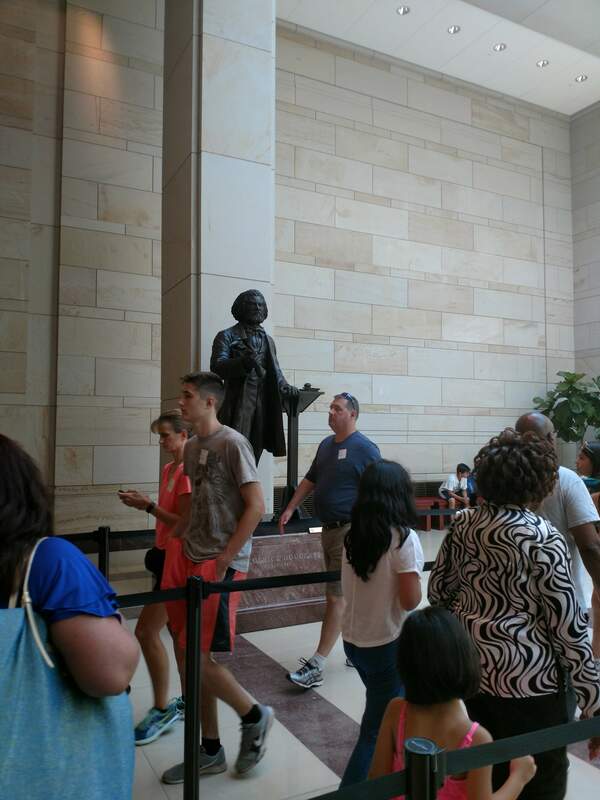 We also got the opportunity to tour the capitol building. It was so beautiful! 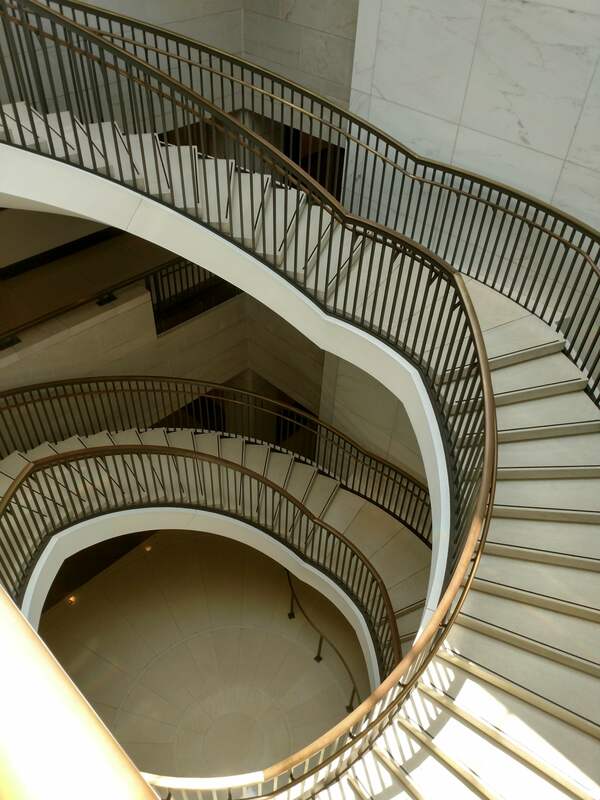 Every bit of the architecture had some meaning and history. I admit I had felt apprehensive about visiting a building which my ancestors had been forced through slavery to construct, but it occured to me that they also built most of wondrous marvels our country has to offer. I can only imagine my own ideas of what they went through but I must say I am honored nonetheless to be able to see the magnificence they left behind. I was relieved they were recognized as the builders and celebrated what they accomplished. 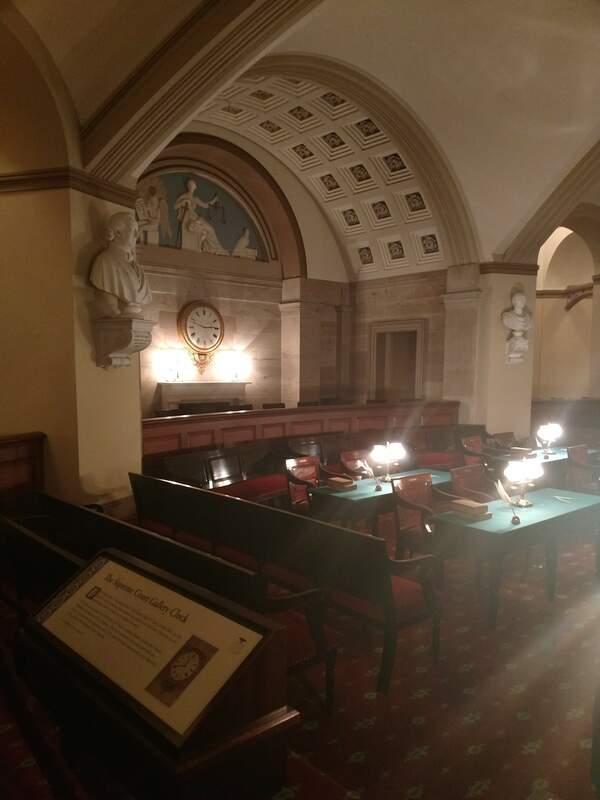 Perhaps the most memorable part of the entire tour for me was seeing the old Supreme Court Chamber. The same chamber in which the famed Amistad case was held. As I walked through I remembered the lessons my mother had taught me several years back about the United States v. The Amistad. In the dimly lit room, with it’s red carpet floors and carefully preserved wooden desks, I thought of the hand-drawn pictures I had seen on the internet and pictured where Sengeh Pieh might have stood. It was a once in a lifetime experience and I can’t wait to tell my family all about it when I get home! The end of my time here is coming sooner than I’m prepared for. I’ve been having so much fun, even in the quieter moments, that I hadn’t understood how quickly the weeks have gone by. I intend to cherish the rest of the internship, strengthen the connections I’ve made, make new connections, and finish my projects! I hope you’ll stick it out for a few more blogs! As always, stayed tuned for more updates! The Second Week: I'm a real filmmaker now! The First Week: Why Am I Always Getting Lost Though?